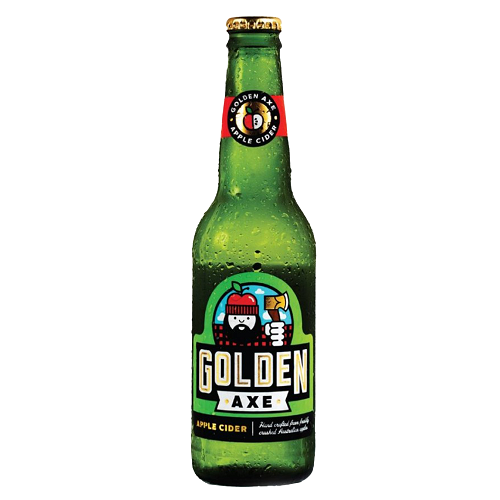 Hailing from the South East of Melbourne, Golden Axe apple cider is created by a small group of self-proclaimed beverage geeks. The team is focused on sourcing quality ingredients, and also experimenting with the smaller details that make all the difference in the taste of the final product. Gluten-free, with no concentrates/ added sugar. This is one unpretentiously delicious Apple Cider with a balanced sweetness and light carbonation that doesn't leave you feeling bloated. A perfect thirst quencher to fight the heat in Singapore! The Drinking Partners is the importer and distributor of Product of Australia Golden Axe Apple Cider in Singapore.